My damn obliques are sore yesterday from doing the side-bends on the Hyper-Extension stand. It’s an odd thing to have sore. I’ve got a new Man Movie Encyclopedia article for you cats. Since it’s the July 4th weekend we’re gonna take a look at the most patriotic man ever, John J Rambo, in his original outing, First Blood. Absolutely love these bad boys. To everyone afraid of the deadlift, then give Rack Pulls a shot, set the bar either below your knee or above it, but I say below. If you have a Trap Bar like I’m using, then absolutely use that. It makes things so much more comfortable, and I feel more in control. 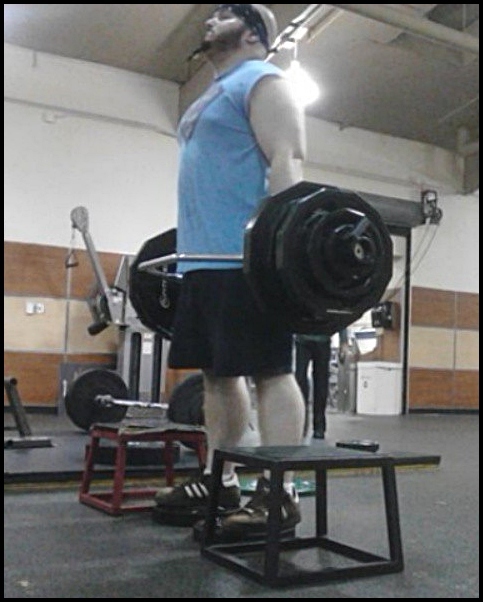 My final set, which this photo is taken from, I got 6 reps at 320lbs. Even though your boy is Fat Buff, my arms are still pretty decent. They’re 20″, with peaks. 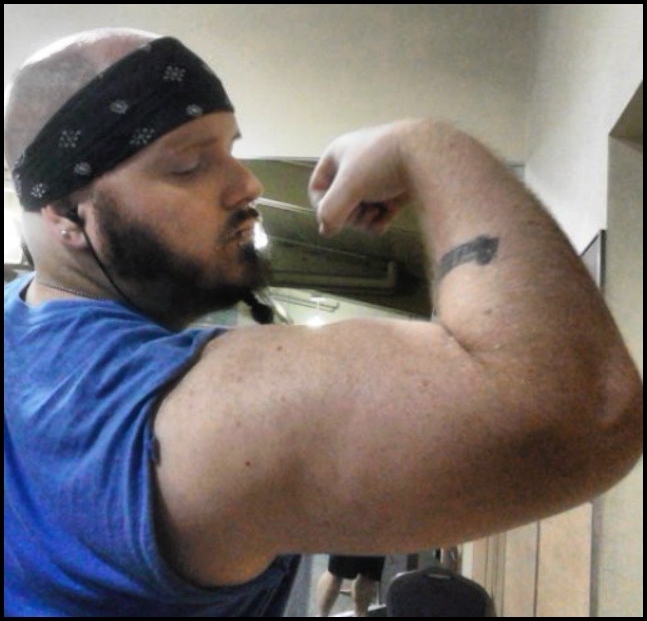 Also, my delts are coming in, and that’s really adding to the thickness and 3D effect, something I’m damn proud of. C’mon, you’re Thor! 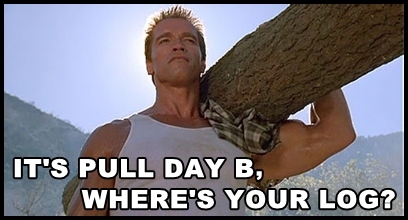 Hit the squat rack, baby. Do some Calf Raises while you’re at it, buckshot. Got some new podcasts up as well, buckshots. The most recent episode is pretty landmark, as Mike got a brand new kidney. Tune in as I interview him about the entire process, and what his chances for rejection are, it’s good stuff. Today being Sunday means there’s a new Man Movie Encyclopedia entry up over at 411mania if you guys would like to check it out. This week we take a look at the movie that launched a career for Van Damme, and made everybody want to fight in an underground tournament, Bloodsport. I’ve also started doing audio versions of the MME articles that you guys can grab Audio Version of the MME – Die Hard. OK, I’ve talked about what I think a person should do in terms of workouts when they’re new to the world of working out. But there’s other aspects, such as edict. I was reminded of this when I walked into the gym this morning. So, it’s Pull Day, so I start it off with some Power Cleans. Naturally, I head to what’s known as the ‘Training Room’ portion of my 24 Hour Fitness, because that’s where the Deadlift/Power Cleans platform is, plus there’s bumper plates. For those who don’t know, bumper plates are bigger than your usual. Such as 10lbs is just as wide as a standard 45lb plate, and they’re often coated in a hard plastic so you can slam them around. Well, I walk in there, and two cats are already working on the platform. Which is fine. Normally. However, THEY’RE DOING BICEP CURLS! Yes, out of a 1billion freaking square foot gym, they’re on the 10×10 DEADLIFT PLATFORM DOING BICEP CURLS! On top of that, they were filming each other! There is zero reason why you should be filming yourself doing bicep curls, unless you have a youtube fitness page, but these guys looked to have been working out for like, 3 months, tops. Although, they’re subscription to Muscle & Fitness probably came in, and now they think they should have their own fitness channel so they can explain the importance of doing crunches in the squat rack. Look, if you’re new, when you go into a gym, absolutely do not use a piece of equipment or area for anything other than what it’s used for if there’s other areas or equipment to do what you want. People in the gym are probably the friendliest folk you’ll meet, but you’re gonna piss people off if you use the seat of the Leg Press machine to do Preacher Curls. Bastards. Running late today, so we’re just gonna jump to the workout, buckshots.